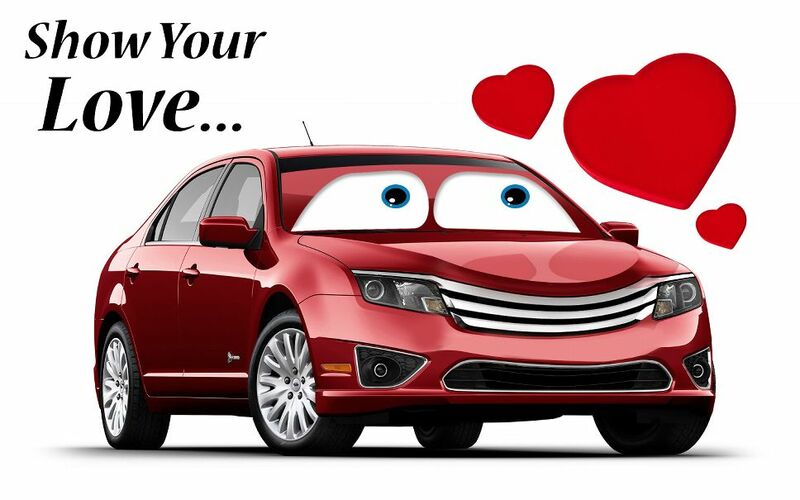 Valentine’s Day is about to roll around and MobileWash would like to tell you about some ways that you can give your trusty car some special treatment that you might’ve been putting on the backburner. The thing is, most of us center our attention on pampering that special someone, but your car needs love, too. The more we appreciate the important machines in our lives, the better they perform for us. Your car works hard for you daily and takes you where you need to be. Gets you to work, back home, and everywhere in between. Here are some ways that you can spread some of the love going around on Valentine’s Day to your trusty sidekick. Spring for Some New Shoes. First, try buying some new tires, and spring for some higher quality models. It’s true that old slogan, that there’s a lot riding on your tires. A good set of tires will improve your vehicle’s traction — you’ll really feel a difference, too! If you’ve bought new tires recently, have them balanced and rotated. If that’s all been done and you have some extra coin, why not purchase some shiny new rims? Your ride will be sitting pretty! 2.) Give it a detail. Deluxe Wash — includes a complete exterior hand wash; we wipe down all of your car’s door jambs as well as your trunk seals; we’ll vacuum your seats, carpets, and even your floor mats. We’ll clean windows inside and out, as well as rim cleaning & tire dressing! Premium Detail — this package includes everything the Deluxe Wash has to offer as well as a thorough wipe down of your vehicle’s interior, including dashboard, door panels, center console, your car’s pillars and trim pieces; dressing of all the exterior plastics; light stain removal of interior (excluding carpet); leather cleaning and conditioning, as well as a full exterior hand wax (Liquid form). 3.) Have MobileWash go the extra mile on your detail. MobileWash on-demand car detailing offers several ancillary services to customize our already extensive detail packages. You can add pet hair, dander, and water spot removal to our deluxe or premium wash package. MobileWash also features our full exterior clay bar treatment, removing harsh and stubborn contaminants, industrial fallout, tree sap, bug gunk, rail dust, brake dust, and acid rain that other wash services can’t get rid of. 4.) Throw some seat covers and a new steering wheel cover in the mix! You get so used to the interior of your car, that you might stop noticing the little things. Seat covers can offer cozy options that will make you and your car feel special. You can wrap your steering wheel up with leather of your choice. Before you know it, you’re looking at a brand new interior. 5.) Change your air filter. Your vehicle’s air filter is an important component that ensures that contaminants like dust and dirt in the outside air don’t get into your engine. If your air filter gets clogged or dirty, it will certainly lower your gas mileage, in some cases by 10%. Your engine will lose power as well. Neither you or your car want that. You should be checking and changing your air filter every six months, anyway. We could go long on this one, of course. But we don’t want to take up too much of your time. Thank you for reading and make sure to schedule your next on-demand MobileWash auto detail before Valentine’s day.